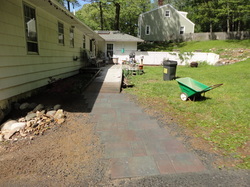 Paver walkway in Melrose, MA. 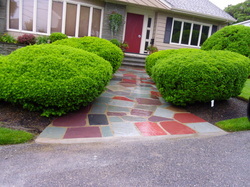 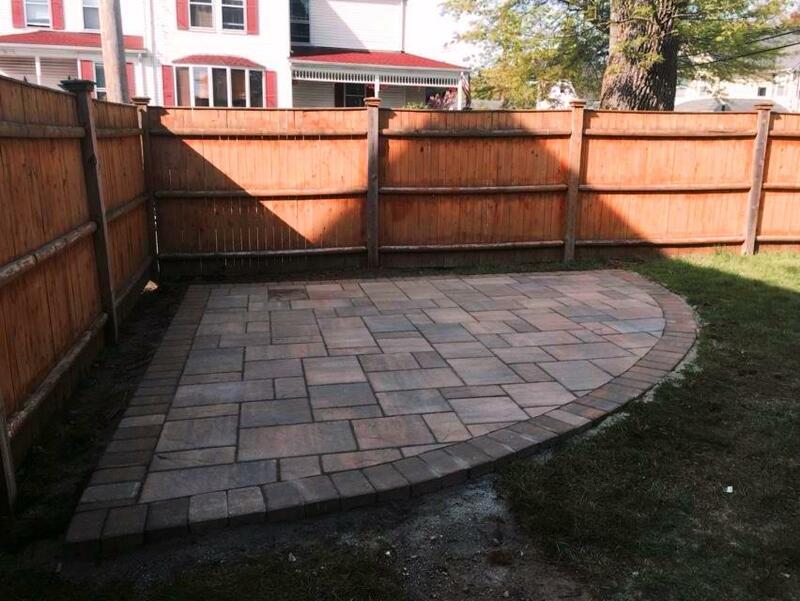 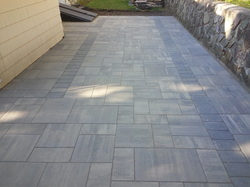 Paver walkway in Topsfield, MA with step pattern. 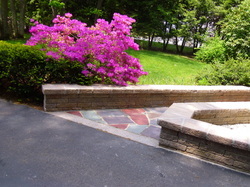 Garden wall in Andover, MA. 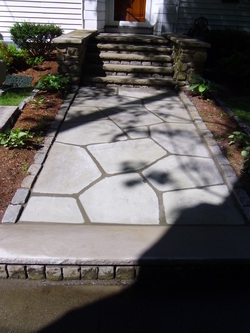 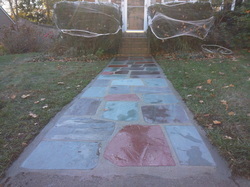 Flagstone walkway in Revere, MA. 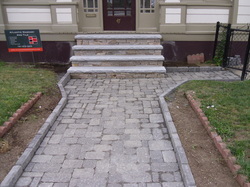 Walkway and steps in Melrose, MA. 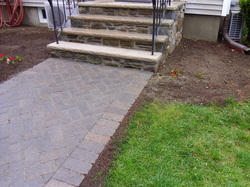 Walkway and steps in Medford, MA.